Teaching is a constant learning journey. For 2014 the focus of my learning journey will be the daily use of Te Reo, developing the Enviro Schools Team and developing independence in learning - the next step on from Daily 5. What type of person are you as a teacher or the kids in your class? 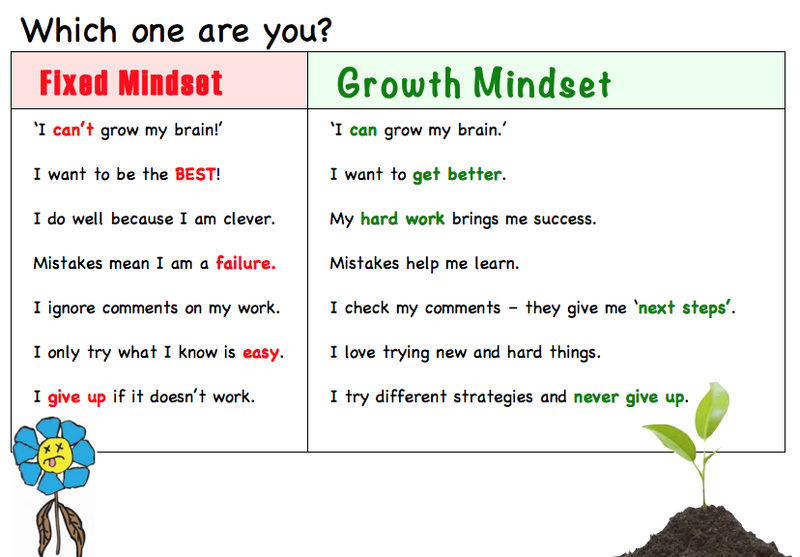 If we are asking students to have this positive Growth Mindset then we need to be looking first at ourselves and how we model it in class and daily life. say "This is too hard, I'm giving up." say "I don't get this, can you help me?" say "This is really hard and it is fun." There are some things that stood out for me as an educator and learner. More of them are incorporated in to my action based on the headings in Matt Bromley's Blog. 1. Praise for effort not ability. 2. Teacher belief, mindset, negative labels or stereotypes powerfully affect learning - developing a Growth Mindset helps us combat this negativity. 3. Honest constructive feedback promotes growth. 4. A disciplined and nurturing environment is essential. 5. 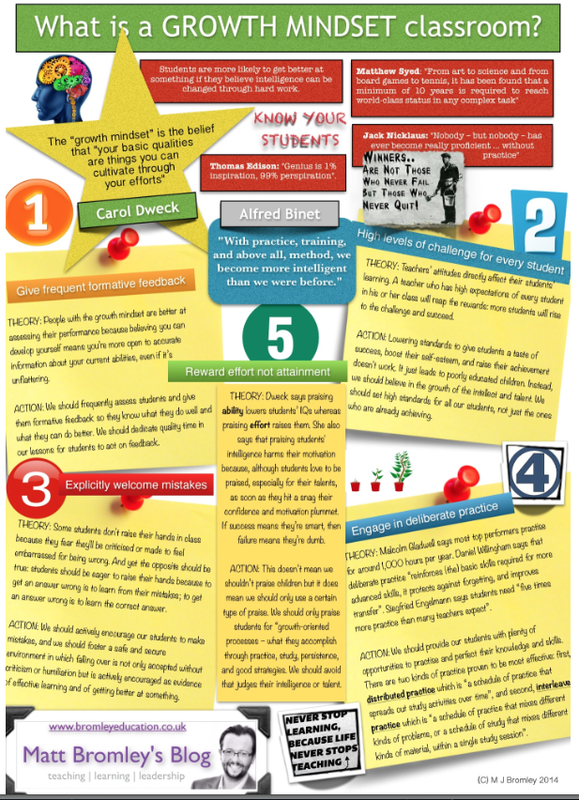 Teach learners how to learn or improve - demystify the process. 6. Growth Mindset teachers are always learning themselves. So What! How could this look in my classroom for 2015? Build up a picture of the student from many different sources. Class chart: Work harder, grow smarter! Expose kids to challenging vocabulary, concepts and literature. They can't learn about what they have never experienced. Students opt into a range of needs based workshops. Speech bubbles around the class: What went wrong? What can I learn from it? Constantly take the time to model how to unpack mistakes and look for the learning. In Waka Stride we are becoming….. kids to shout out all the things we are becoming like: fast at my 3x tables, accurate at editing my writing, a kind and 'bucket filling' friend. Activities are clearly sorted so learners can select the one that supports their own target - Maths Google Site. To start Daily 5 reading, writing or maths sessions learners will state their target and the activity they will do to help achieve it to a buddy or teacher. Daily round up - kids and teacher recommend people for effort, showing Independent Learner skills, trying again - being resilient…. A great opportunity to use the language of learning. Class reward system is collaborative and based on co-constructed criteria which will include: be resilient, use AKO - other students as teachers, use different strategies etc. Hi Allana, SOO great to catch up with you today. We really must make sure we do that more often! Thanks so much for sharing this post. Great questions. Exciting times ahead for you and your learners!!! Very fortunate learners coming into your environment in 2015! 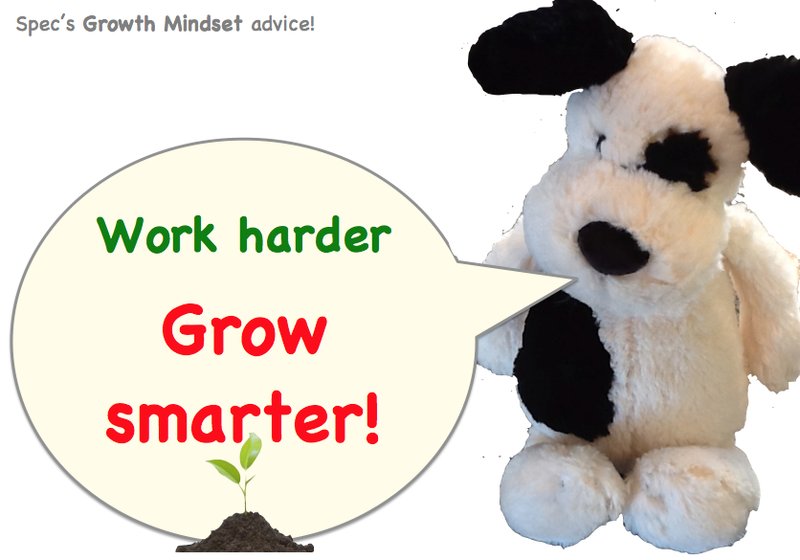 I have also been looking at how Growth Mindsets will enhance our school environment in 2015 - with permission I would like to share aspects of this blog with my staff at Kaiapoi North? Thanks for your comment. It will be posted as soon as it has been moderated.